Well... pleasantly surprised watching the guys stick up for each other last night without Cody... and then actually turn on the switch and come back hard to tie it in the 3rd.... most exciting OT I think I've ever watched and finally both goalies doing a Great Job in the SO!! Didn't look like anyone was thinking about being traded in the next couple weeks and played like a team and ended the weekend on a Happy Note!! Another blown lead non-stop passing around the horn on PP is insane .... moments of good play.... mediocre Lundqvist ... time to start Georgiev more... no one to stop bulldozer Byfuglien.... and Rangers looking to trade away our only guys that contribute every game.....actually need to trade away the other 3/4 of the team who just never contribute and KEEP THE ONES WHO DO!! I feel your pain but I’m really enjoying this NHL season so far. If you told me back in October that Montreal would be in a playoff hunt (with Shea Weber missing the first 25 games of the year), I wouldn’t have believed you. Now GM of the Year candidate Marc Bergevin who acquired Tomas Tatar and Max Domi in the off-season, tweaked the much-needed 4th line this week. we get everything we need but that spark player.just praying that the mgt dosen't lose their minds and go for the super trade that will leave us lifeless. Bill, Wasn't it just last season you were calling for the ouster of Bergevin? it's crazy how things turnaround with some right moves.... maybe it'll rub off on the Rangers soon! Was at Surf Day all day yesterday and didn't get to commend the Rangers for a nice win Fri night and finally getting that secondary scoring which has been so sorely missing!! Fun game for Ranger Fans!! good game,they won!!!! 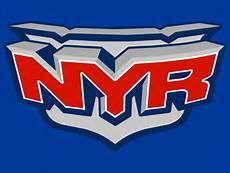 !Lets GO RANGERS!!!!!!!!!!!!!!! !